(218) The Island Weight of the East had an Earthmaker-messenger possessed of the Light and Life of He who Stands within the Lodge. It was blackened by age. He took the gourd and began to rattle it. In that way did he begin. The hair of the man with long hair, began to spread out as it waved from side to side. As great as the Light and Life had been, he made it better. He who Stands in the Middle of the Lodge, he whom they cannot overcome even with their teeth, that twisting blaze became straight. The small, thin, white clouds, even as they are, (219) he swept virtually all of them away to the bad place. The gourd was the East's instrument by which he swept away evil. Commentary. "He who Stands within the Lodge" — a title (Čírirogikónok) given to the fire, who is also known as "Grandfather." "the man with long hair" — this refers to the gourd rattle.2 Apparently an ornament of (horse's ?) hair was attached to it. "that twisting blaze became straight" — the certain sign of a propitious occasion. The fire when still and erect, undistorted by wind, points to the sky-dwelling spirits as their special messenger of sacrifice. "small, thin, white clouds" — these are cirrus clouds that are found at altitudes above 20,000 feet (6,000 meters). They are blown by high winds into thin, wispy strands sometimes called "mare's tails." It is their association with high winds that make them symbols of evil. However, once they pass from the sky, they are invariably followed by fair weather. "the bad place" — this is said to be the north, since there are times there when the sun does not shine even in the daytime. "the Road near the fire of the spirits' lodge" — this probably refers to the model of the Road of Life and Death as it existed in the Creation Lodge. It winds around the fire where the spirits sat. East has removed the power of evil spirits from the Road, and has thereby, through this rite, removed their power to obstruct the progression of the initiated to a successful completion of the Road that can return them to life again. "long horns (héserečį́)" — the primary meaning of the Hočąk he is "horn." It came to be applied to hair because the typical tonsure of this, as well as some other Siouan tribes, consisted of long queues having a superficial resemblance to horns. "spiders" — on page 219 verso of the text, Radin has the following note: "When spider is working it's sign of nice weather." "stood fastened" — that is strands of cobweb stood suspended in the air with no wind to hold them up. Links: Island Weights, Earthmaker, Fire, Gourd Rattles, Spiders. Stories: mentioning sacred gourd rattles: North Shakes His Gourd, The Brown Squirrel, South Seizes the Messenger, Holy One and His Brother, The Stench-Earth Medicine Origin Myth, A Peyote Story; mentioning Island Weights: The Creation of the World, The Island Weight Songs, South Enters the Medicine Lodge, East Enters the Medicine Lodge, North Shakes His Gourd, Wolves and Humans, Šųgepaga, Traveler and the Thunderbird War (v. 2), The Lost Blanket, Thunderbird Clan Origin Myth (v. 1), The Medicine Rite Foundation Myth, Hare Secures the Creation Lodge, South Seizes the Messenger, Earthmaker Sends Rušewe to the Twins, The Messengers of Hare, The Petition to Earthmaker; mentioning spiders: The Spider's Eyes, Hare Visits the Blind Men, The Twins Retrieve Red Star's Head, Tobacco Origin Myth (v. 5), Descent of the Drum (v. 1), Arrows of the Medicine Rite Men (v. 1); in which fire plays a role: The Creation Council, Thunderbird Clan Origin Myth, The Warbundle of the Eight Generations, The Twins Retrieve Red Star's Head, Hare Secures the Creation Lodge, The Four Steps of the Cougar, East Enters the Medicine Lodge, North Shakes His Gourd, The Descent of the Drum (v. 2), The Man Whose Wife was Captured (v. 2), Red Cloud's Death, see Young Man Gambles Often (Commentary); mentioning Creation Lodges (Wogųzočíra): The Creation Council, Hare Secures the Creation Lodge of the Medicine Rite, The Descent of the Drum, The Four Steps of the Cougar, The Nightspirits Bless Jobenągiwįxka, The Boy who would be Immortal, The Medicine Rite Foundation Myth, The Animal Spirit Aids of the Medicine Rite, Otter Comes to the Medicine Rite, East Enters the Medicine Lodge, The Arrows of the Medicine Rite Men (v. 1), Peace of Mind Regained, South Enters the Medicine Lodge; pertaining to the Medicine Rite: The Medicine Rite Foundation Myth, The Journey to Spiritland, Holy Song, Holy Song II, Maize Origin Myth, The Necessity for Death, Hog's Adventures, Great Walker's Warpath; mentioning teeth: The Animal who would Eat Men, Hare Recruits Game Animals for Humans, Hare and the Dangerous Frog, The Girl who Refused a Blessing from the Wood Spirits, The Two Boys, The Birth of the Twins, The Twins Disobey Their Father, Wears White Feather on His Head, The Dipper, Wolves and Humans, The Commandments of Earthmaker, The Children of the Sun, The Green Man, Holy One and His Brother, Partridge's Older Brother, The Brown Squirrel, Hare Secures the Creation Lodge of the Medicine Rite, The Medicine Rite Foundation Myth, Lifting Up the Bear Heads, White Wolf, Buffalo Clan Origin Myth. Stories from Jasper Blowsnake's account of the Medicine Rite (The Road of Life and Death) in notebook order: The Shell Anklets Origin Myth (v. 1), Keramaniš’aka's Blessing, The Woman's Scalp Medicine Bundle, The Blessing of Kerexųsaka, Historical Origins of the Medicine Rite, Hare Secures the Creation Lodge of the Medicine Rite, Lifting Up the Bear Heads, East Enters the Medicine Lodge (v. 1), The Creation of the World (v. 12), The Creation of Man (v. 8), Otter Comes to the Medicine Rite, The Journey to Spiritland (v. 4), East Enters the Medicine Lodge (v. 2), Testing the Slave, South Enters the Medicine Lodge (v. 2), The Descent of the Drum (v. 1), The Commandments of Earthmaker, The Coughing Up of the Black Hawks, The Animal Spirit Aids of the Medicine Rite, The Arrows of the Medicine Rite Men (v. 2), The Medicine Rite Foundation Myth (v. 4), The Messengers of Hare (v. 2), North Shakes His Gourd, Grandmother's Gifts, South Seizes the Messenger, Four Steps of the Cougar, The Messengers of Hare (v. 1), The Island Weight Songs, The Petition to Earthmaker, A Snake Song Origin Myth, The Completion Song Origin, Great Walker's Medicine (v. 2), Great Walker and the Ojibwe Witches, The Diving Contest, The Sweetened Drink Song, The Plant Blessing of Earth, Tobacco Origin Myth (v. 3), The Tap the Head Medicine, The Claw Shooter, Tobacco Origin Myth (v. 4), Peace of Mind Regained, The Journey to Spiritland (v. 5), A Wife for Knowledge, The Shell Anklets Origin Myth (v. 2), The Descent of the Drum (v. 2), South Enters the Medicine Lodge (v. 1), Death Enters the World. 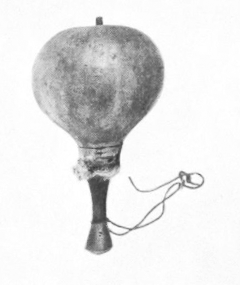 Themes: someone possesses a gourd rattle of great magical powers: North Shakes His Gourd, The Brown Squirrel, South Seizes the Messenger, The Stench-Earth Medicine Origin Myth; spirits meet in a council: The Twins Retrieve Red Star's Head, Black and White Moons, Holy One and His Brother, The Creation Council, The Children of the Sun, Hare Secures the Creation Lodge, Traveler and the Thunderbird War (v. 5), The Gift of Shooting, The Descent of the Drum, East Enters the Medicine Lodge, South Enters the Medicine Lodge, The Blessings of the Buffalo Spirits, The Petition to Earthmaker, The Boy who would be Immortal; flames the stand upright and unwaving are propitious: The Twins Retrieve Red Star's Head, South Seizes the Messenger, North Shakes His Gourd, Four Steps of the Cougar, The Descent of the Drum (v. 2); having the power to control the winds and/or the weather: Deer Clan Origin Myth, Wolf Clan Origin Myth, Bear Clan Origin Myth (vv. 1, 5), Blue Bear, The Gray Wolf Origin Myth, The Chief of the Heroka, East Enters the Medicine Lodge (v. 2), South Seizes the Messenger, The Dipper; a powerful spirit sweeps away evils to the bad place (the arctic north): North Shakes His Gourd, The Descent of the Drum (v. 2), The Buffalo's Walk, South Seizes the Messenger, The Four Steps of the Cougar; evil clouds are swept away (to the north): North Shakes His Gourd, The Four Steps of the Cougar, The Descent of the Drum (v. 2), The Buffalo's Walk, The Medicine Rite Foundation Myth (v. 4), The Arrows of the Medicine Rite Men (v. 2), South Seizes the Messenger. 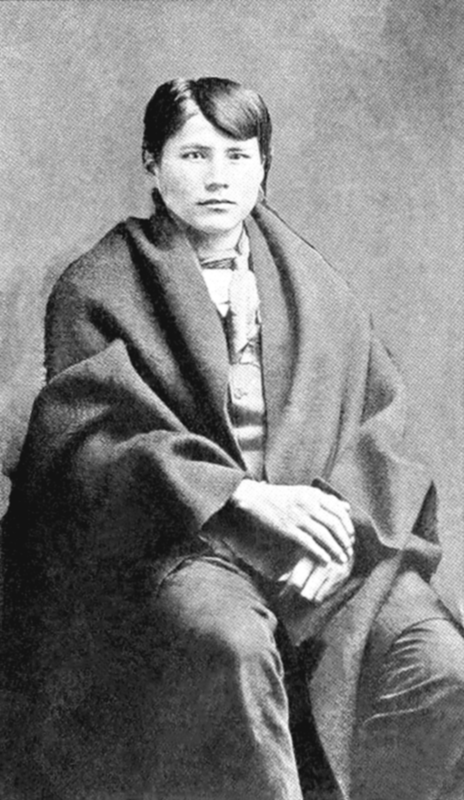 1 Paul Radin, The Road of Life and Death: A Ritual Drama of the American Indians. Bollingen Series V (Princeton: Princeton University Press, 1973 ) 293-294; the original text is in Jasper Blowsnake, Untitled, in Paul Radin, Winnebago Notebooks, Freeman #3876 (Philadelphia: American Philosophical Library, n.d.) Winnebago II, #7: 218-220. 2 Radin, The Road of Life and Death, 344 nt 27.